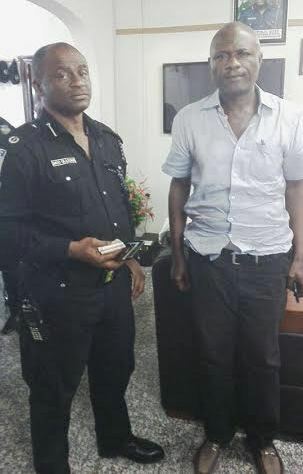 Mr. Lekan Shonde, who allegedly killed his wife, Ronke, surrendered himself to the Rapid Response Squad of the Lagos State Police Command on Monday. Lekan, a depot worker, was alleged to have killed Ronke last Thursday after a disagreement at their home in the Egbeda-Idimu area of the state. He was alleged to have fled the house, locking the door against the deceased and their two children. The nanny, who first discovered Ronke’s corpse, was said to have raised the alarm, drawing the attention of neighbours. The matter was subsequently reported at the Idimu Police Division. Lekan, who spoke with a Punch correspondent while in hiding, had said his late wife was unfaithful to him, adding that she was dating the general manager of a publishing company. He said he only pushed her hand aside on the staircase during an argument over money, adding that he never fought with her. He explained that he was not aware that the police were looking for him until the news broke. The reporter, had, however prevailed on him to report at the nearest police station. The reporter during the 18 minutes interview explained that it would be as long as the investigation lasted. 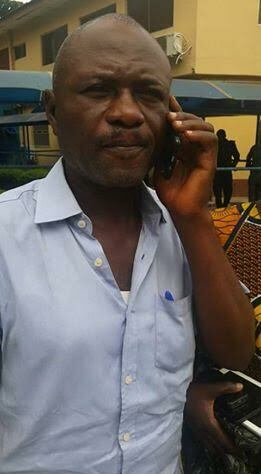 Lekan agreed to meet with the journalist at Ikeja-Along bus stop by 7.30am on Monday. “Let’s meet at 9am at Alausa. I will be at the Lagos State Attorney General’s office with my lawyer and a friend,” he later said. However, by Monday, the suspect, who was communicating his movement to the reporter, began to vacillate. He did not get back until 1pm without being specific about his location. Later at 2.37pm, the suspect called and said he was sorting out some things, adding that he would get back. But shortly after, the reporter called the sister of the deceased, Bolatito, who said the suspect had reported himself at the Alausa police division. A check at the station, however, showed that Lekan reported at the RRS office. A police said the police had been expecting him. The suspect, at the command headquarters, insisted he never beat his wife. He said, “My parents, who were against the union, shunned our marriage. My mother is dead. My father, who is over 90 years, has been full of regret, saying he had warned me. She dated the manager of a publishing firm while still married to me. “On that Thursday, after she said she had taken my N20,000, all I did was to slap her. I am sorry I did that. But even after that, I still bought moi-moi and pap for her when she said she would not cook. I took garri that night. “She ate and suddenly started to vomit. I asked her what the problem was, but she said nothing. On Friday morning, she was still lying down when I left her. I even dropped the upkeep money that I always gave her and left for work. The Police Public Relations Officer, Dolapo Badmos, said the police would transfer the case to the State Department of Criminal Investigation, Yaba. The President of the Women Arise for Change Initiative, Dr Joe Okei-Odumakin, who was also at the command, said the eventual arrest of the suspect was a step in the right direction. She said the group would follow the case till the end.